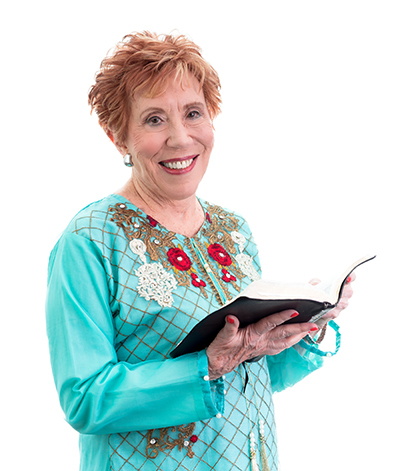 Encouraging, optimistic, always upbeat and energetic—at the young age of 87, Marilyn Hickey actively ministers internationally, most recently in Sudan, Israel, Jordan, Egypt, India, China, and Pakistan, as well as domestically in the United States through Bible Encounters and speaking engagements. Marilyn has had audiences with government leaders and heads of state all over the world. She is the first woman to join the Board of Directors of the largest church in the world, Dr. David Yonggi’s Church Growth International in South Korea. She has traveled to 137 countries and plans to visit many more in the years to come. She and her late husband Wallace were married over 50 years, and have two children and four grandchildren. Marilyn holds the following degrees of education: Bachelor of Arts in Collective Foreign Languages, from the University of Northern Colorado, and an Honorary Doctorate of Divinity from Oral Roberts University. In 2015 Marilyn was honored at Oral Roberts University with the prestigious Lifetime Global Achievement Award. This award recognizes individuals or organizations that have made a significant impact in the history of ORU and in the world in positive ways as an extension of the university and its mission. Connect with Marilyn on Facebook. Visit the Around the World With Marilyn and Sarah Blog.